About Seventy-five percent of all people are affected by periodontal (gum) disease during some time in their life. Periodontal disease left untreated is responsible for seventy percent of adult tooth loss. Plaque, a colorless sticky film that continually forms on your teeth, is the main cause of periodontal disease. Plaque contains bacteria that produce toxins. These toxins irritate the supporting gum tissue around the teeth and in time can destroy this tissue. Since periodontal disease is usually painless, it can go undetected for a long period of time. By then, the bone supporting the teeth can deteriorate. This deterioration causes the teeth to loosen. When teeth loosen, they may not continue to function or they may need to be extracted. Smoking, diabetes, genetics, stress and even pregnancy can be contributing factors in the cause of gum disease. However, regular brushing and flossing, as well as having your teeth professionally cleaned can be very helpful in the control of this disease. Periodontology is the study of the tissues that surround the teeth. 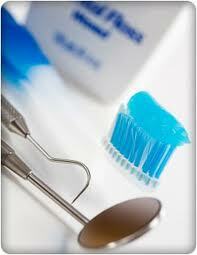 A periodontist is a dentist that has specialized in periodontology. At least two years after dental school of comprehensive training is required to receive a certificate in periodontics. Dr. Ford is an expert in the diagnosis, treatment, and prevention of diseases of the jaws, gums, and skin inside the mouth. What kind of treatment should I expect? On your first visit, we will review your dental and medical health history, and examine your gums, teeth, and mouth. Dr. Ford will determine how much tissue has been affected by periodontal disease. She also will test how secure your teeth are in the supporting bone. X-rays may be taken to evaluate the condition of the bone. When gum disease is in the earliest stages, the treatment usually consists of scaling and root planing. Scaling removes plaque and calculus (tartar) from pockets that have developed around the teeth. Root planing smoothes the tissue around the root of the tooth to encourage the gum to reattach. If the disease has progressed to an advanced stage, surgical repair may be in order. After the completion of your periodontal treatment, Dr. Ford and your general dentist will work together to monitor your situation. However, now most of the work is up to you. Each day you will be responsible for brushing and flossing. It will be very important for you to visit the offices of your periodontist and your general dentist for your maintenance treatment. You will enjoy healthy teeth and gums, fresher breath, more self-confidence in your smile, and eating foods you used to think were difficult to chew. Most importantly, with healthy teeth and gums, you can avoid future tooth loss. With periodontal treatment, regular visits to your general dentist, and by concentrating on oral hygiene, you should be able to keep your smile for a lifetime.